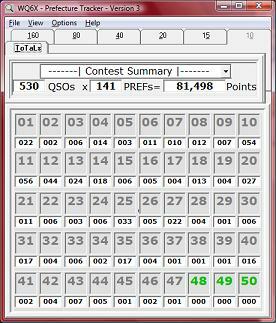 The CW (code) event is on the 3rd weekend in April - in 2010 NX6T took 1st-PLACE for North America!! The SSB (voice) event is the 2nd weekend in November (between the November Sweepstakes weeknds). 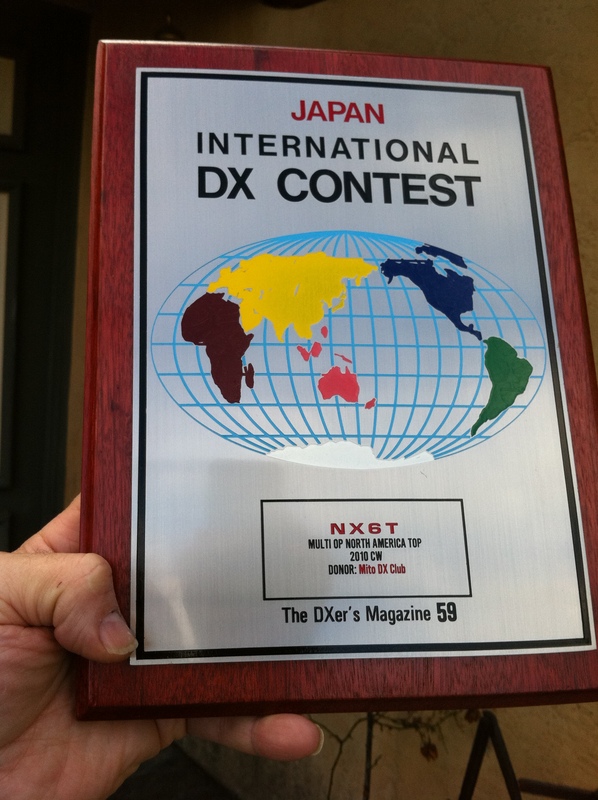 Click Here to view the rules for the Japanese International DX Contest. 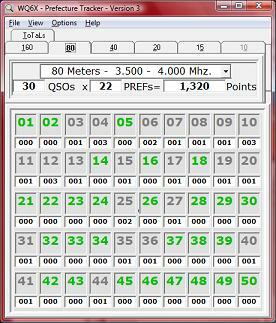 In this competition amateurs from around the world endeavor to contact Japanese amaturs on the standard radio bands from 160-meters (1.8 mhz) to 10-meters (28 mhz). 160-meter contacts are worth 4 points, 10-meter contacts are worth 2 points and contacts on the other bands are worth 1 point; although as you can see below we made no contacts on 10 meters, thanks to sunspot cycle #24 just just getting started (coming out of a protracted sunspot minimum). 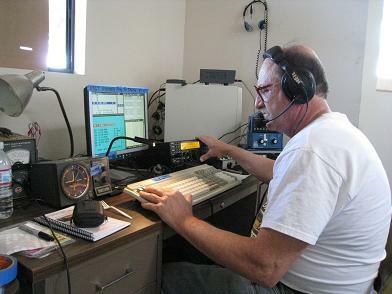 Dennis is not only a cracker-jack operator but a great technician. 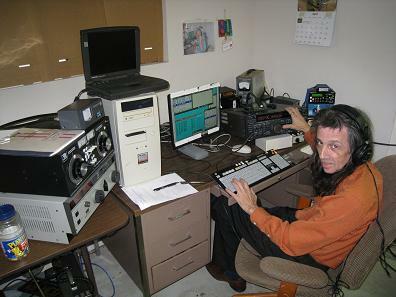 He fixed the amplifier (at right) proving that he really is a genius. 1300w amplifier (grey unit left-side) died. Aside from that, the Elecraft K3 did a superb job. We had taken the 220-cord off of the 800w Ameritron amplifier to make the 1300w Ten-Tec amplifier work. Now, at 3:30 a.m. I get to figure out how to swap a 220-cord back to the Ameritron unit. 800 watts is much less than 1300 but is way better than 100.